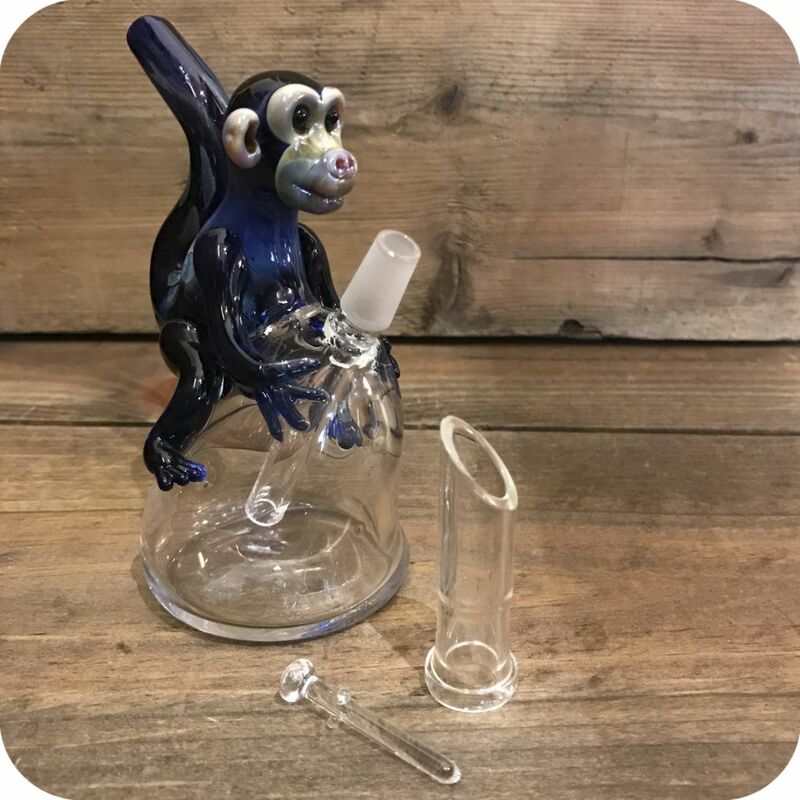 Embrace your inner animal with this adorable monkey dab rig! 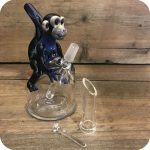 The adorable and lightweight monkey dab rig weighs in at just under six ounces. At 4.75″ tall, with a max width of 4″, this cute little guy is easily portable. It fits 10mm nails, and comes with a Pyrex nail and thin glass dome. Perfect for the rotation, this rig can be easily held by its tail and passed around. 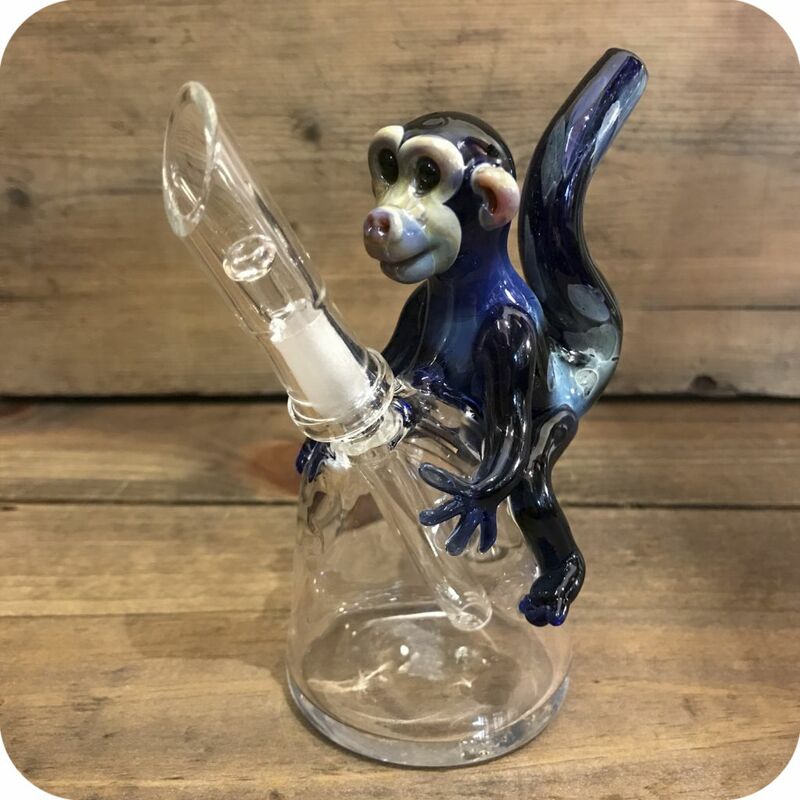 Grab your new smoking buddy today, either online or at either of our Brooklyn shops! 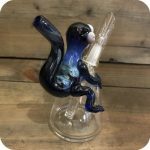 Looking for more animal pipes to add to your collection? 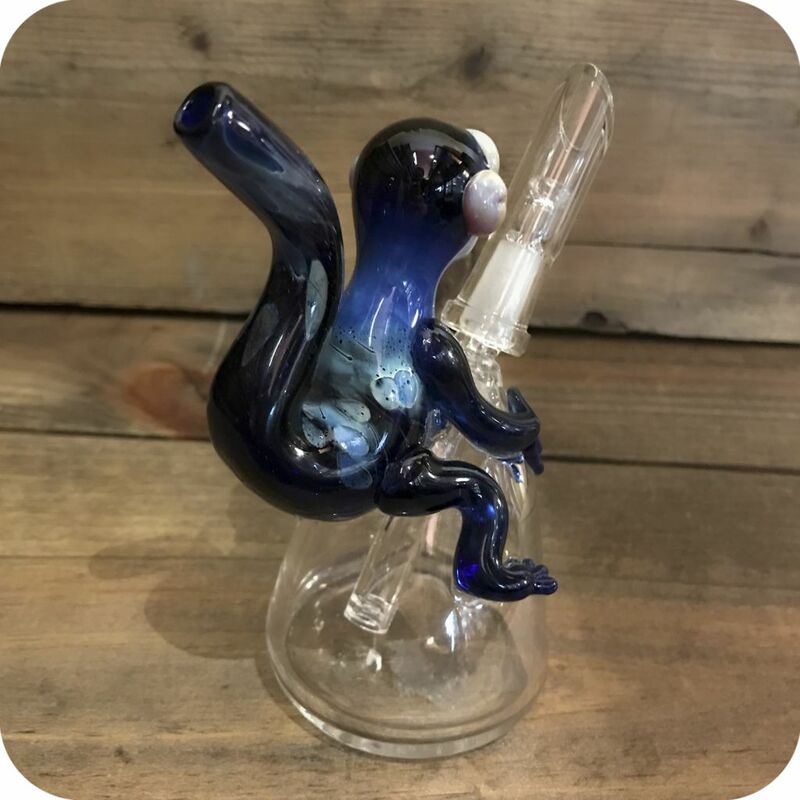 Check out our piglet pipe, panda pipe, and dino pipe! 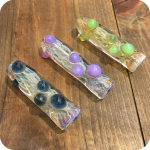 Categories: Glass Pipes, Animal-Food-Character Pipes, Water Pipes, Concentrate Pipes. Tags: animal, animal pipe, concentrate rig, dabbing, monkey.